Entries are coming in for the Great Basin Brew-Off, not physically yet (it’s a little early for that) but are showing up on the website and entry fees are being paid. Here’s a few key points about entering the contest. You have to enter and pay (via PayPal) online. Here is the website link. It’s the same site we used last year, your previous username and password still apply. Entries have to be paid and delivered by February 15th. The Reno Homebrewer Shop and BrewChatter are the drop-off locations. The contest is limited to brewers in Nevada and NE Cal. This is the first time we’ve done that, pretty exciting, so you’re not competing against someone far away. Same website, same username and password as last year. If you have trouble, let me know and I’ll help (775-544-7476). One judging location, Taps & Tanks, E. McCarran, South of Rock Blvd. Judging sessions – watch for updates – right now we have Wed, Thur, Fri evenings (6pm-9pm), and Sat (10am-1pm, and 1pm-4pm). We may not need them all, and if we trim we’ll probably delete Wed, then Thur. It all depends on the numbers. The dates inclusively are Feb 22-25. Try to indicate your availability online. Best of Show judging will be at Great Basin Victorian Ave Brewpub, Sparks, Sun, Feb 26, 4pm, followed immediately by the Awards Announcements. Hope you can make it. Thanks to all for supporting the Great Basin Brew-Off 2016. And, congratulations to all who entered, placed, and won. The results are posted here, and here in the Competition Archives. Score sheets? – just log into Reggie – they are there ready for you. The Great Basin Brew-off 2016 is open for business! Just click the link on the menu, read the info, and then click to get to the registration site. Things are different there as you’ll see, but I think you’ll like it once you get some familiarity. Go ahead and register now, add entries, volunteer to judge or steward, but just don’t deliver your bottles until April, OK? The deadline is April 23rd, but no self-respecting drop-off location wants to store entries for very long. I hope you like the new registration site, and really hope you are excited about this competition. Judging will be held at IMBIB on Wednesday night, the 4th of May, and at Taps & Tanks on Friday, the 6th of May. Best-of-Show judging, followed by the Awards Party, will be at Great Basin, Sparks; judging at 2 pm, party at 4 pm. So go ahead now and at least get registered. When you get to the site, find the Great Basin Brew-off 2016 in the list of upcoming competitions, and click on the registration link on that line. Every time you return to modify or add to your entries or for whatever reason, click on that same line, not on the top of the page. The top header only shows your competition history, as if you’d been using the system for years (which many have, especially in Florida). Important: When you register, in your profile, there will be a space for a discount code. WZZr’s (paid up on their dues) get a member discount. The standard entry fee is $7 per, and $6 after the 2nd entry (max 6 entries/brewer). The WZZ discount is $5 per, flat out. But to get the code, you have to ask Rob for it, as he knows who’s up to date and who’s behind. No other style categories will be accepted. Refer to the BJCP 2015 Guidelines for complete information. We don’t have a date yet (update, May 7th), but shoot for sometime in April or May, maybe later is better to give you more time. We’ll announce that separately and ASAP. For now though, start brewing. Personally, I’m excited that we are moving in this direction (narrowing the allowable styles), focusing more (the new guidelines are massive) with better judging, a smoother operation, and a greater challenge for brewers. 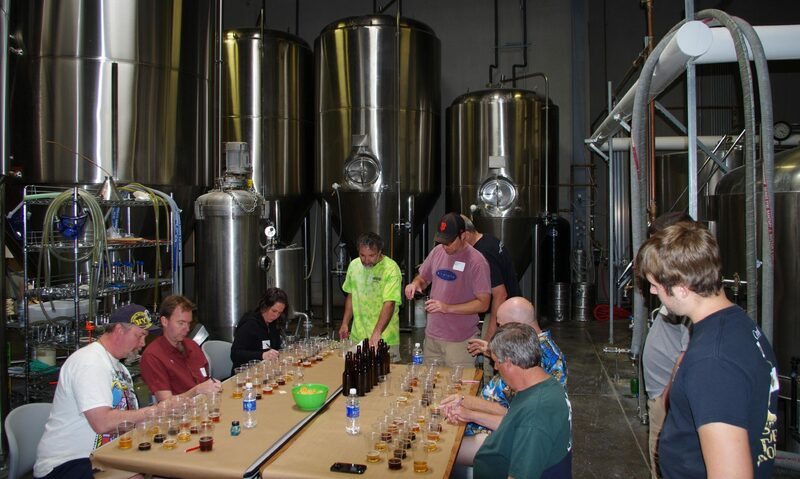 Great Basin Brewing (our primary sponsor) helped select the categories as beers they are interested in exploring.